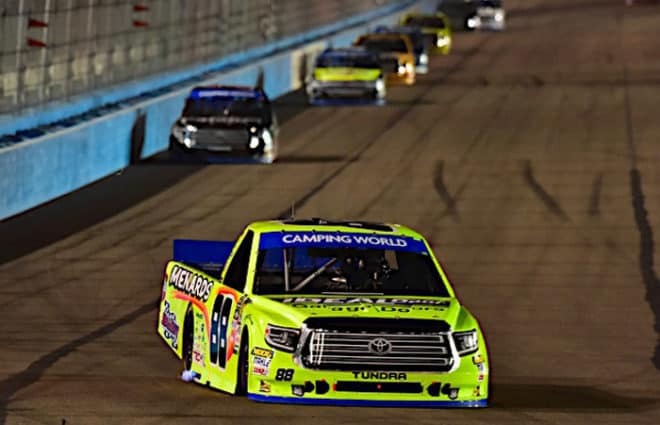 With two races to go, the NASCAR Camping World Truck Series comes to ISM Raceway this weekend (Nov. 9) for the Lucas Oil 150. This event will close the second round of the Truck Series playoffs. 31 trucks are entered this weekend, which means all drivers will make the race, barring any entry list changes. Stefan Parsons will make his second career start, driving the No. 15 for Premium Motorsports. 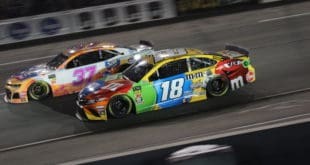 Parsons, who is the son of former driver and Fox Sports commentator Phil Parsons, made his debut earlier this season at Bristol Motor Speedway, where he finished 17th. Parson’s teammate will be DJ Kennington, who will drive the No. 49. DGR-Crosley shifts its driver lineup this week. Tyler Ankrum will climb aboard the No. 17, while Riley Herbst will pilot the No. 54. Ankrum, who will make just his second career start, is the 2018 NASCAR K&N Pro Series East champion. 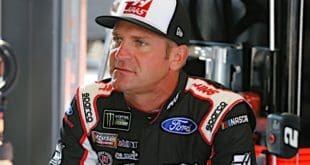 Herbst finished third in the 2018 ARCA Racing Series standings and has three Truck starts to his credit. Derek Kraus will make his first career start driving the No. 19 for Bill McAnally Racing. 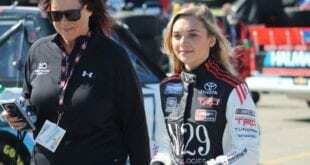 Kraus is a full-time competitor on the NASCAR K&N Pro Series West circuit for BMR. This will be the first Truck Series race for BMR since 2004. Tyler Young moves over to the No. 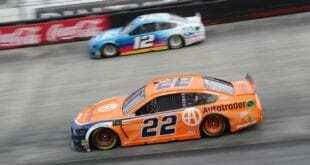 20 for Young’s Motorsports, while Landon Huffman returns to the seat of the No. 38 for Niece Motorsports. Finally, Dawson Cram will pilot the No. 83 while Chase Purdy will wheel the No. 99 for MDM Motorsports. The Lucas Oil 150 is scheduled for Friday, Nov. 9, at 8:30 p.m. ET with TV coverage on Fox Sports 1.